If you’re reading this recipe, you might have seen me talk about it on CTV this morning! 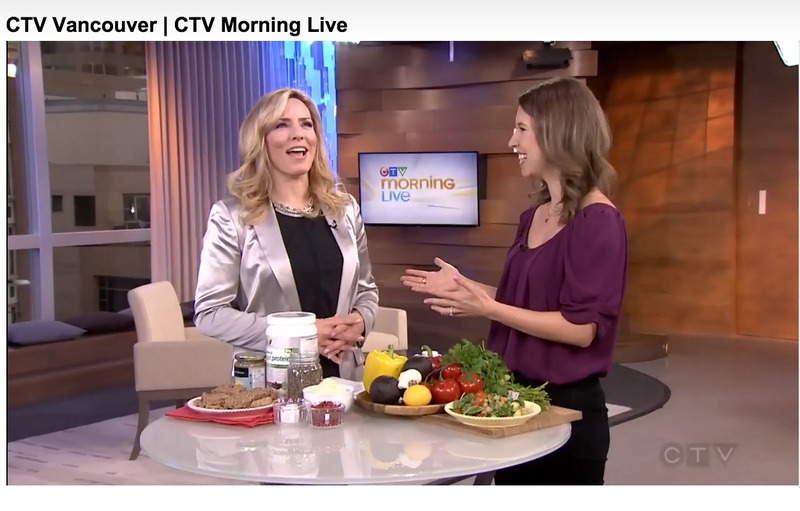 I was on there chatting about some stress busting tips, from a lifestyle and a food perspective. There are two great things about this recipe that are important as it relates to stress. First of all, the recipe contains a fermented protein powder from Genuine Health. The reason this rocks is because fermented foods are great for your tummy and your digestion, both which can be thrown for a loop when you’re stressed. Secondly, the recipe contains lots of almonds & chia seeds, which are great sources of magnesium, a calming nutrient. This is a grain free, higher protein version of my healthy granola bars – I hope you love it! Take the mixture and press into a rectangular glass tupperware dish, or a loaf pan. Serve immediately, or store in freezer, as otherwise they will be crumbly. **If you will be serving them at room temperature, you could add another TBSP or so of a sticky ingredient, like maple syrup.